Ive – flung out with the potato peelings. 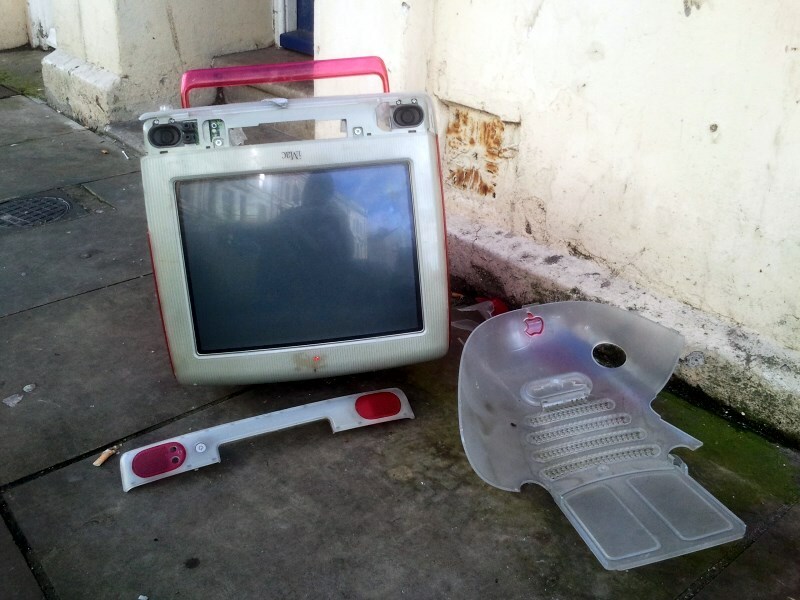 I was more than rather amazed when I came across this red iMac flung out on the pavement, smashed. That this icon of uber-chic design from Jonathan Ive — the heart to Steve Job’s brain of Apple — was simply flung out on the pavement shocked me. I walked away wondering what Ive would say. Would he care, and more’s the point, why did I? I took the photo and walked on, looking back a couple of times to make sure I hadn’t been dreaming. No, the smashed red iMac was still there. I’ve worked in ‘media’ and when I did we used nothing but Apple products. Apple is lauded for it aesthetics, and that the majority of artsy-fartsy types use their computers. Pragmatically Apple and the arts work well together. Music, design, photography, et all use Apple kit (I use a G5 for music). From a visual point of view it can’t be beaten, and that is all down to Jonathan Ive’s eye. Yes, Steve Jobs might have made Apple the power house it is today, but he’d never have achieved it had it not been for Ive’s designs. Yet, since Job’s untimely death, Apple has started to become something else. Rapaciously litigious comes close to describing their present philosophy. And, when comparing the iPhone to the stunningly beautiful Samsung Galaxy, Ive has, in my view, lost the plot. Maybe Apple has reached the point of obsolescence in its design. Maybe Ive has had his day — though I’d like to think not. Maybe the entire magic of Apple relied on the relationship between Jobs and Ive, and now that Jobs is gone so has the magic spark? I reached the end of the street and turned back one last time. The red iMac was still there: it hadn’t been a dream. I never met him, but he changed my world profoundly. I remember watching the 1984 ad for the macintosh at the Odeon Leicester Square – I can’t remember the film I went to see, but the advert was stunning. Later I spent a small fortune on an LCII, bought a G4 when they first came out, and I still have an old G5 at the heart of my studio. I’d like to update, but sadly can’t afford to. 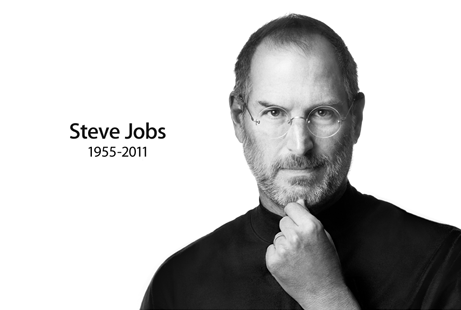 Apple changed the face of music and video production, which, for me, is the key to why I feel so sorry Steve has gone. 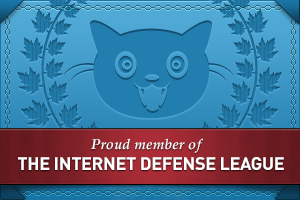 But more importantly: Tim Berners-Lee designed and ran the first true iteration of the WWW (at CERN) on a NExT computer and NExT was Steve Jobs – as NExT was a lot of the interior of the new generation Macs (OSX) once Jobs rejoined Apple.